"Fasting is the soul of prayer, mercy is the lifeblood of fasting. Let no one try to separate them; they cannot be separated. If you have only one of them or not all together, you have nothing. So if you pray, fast; if you fast, show mercy; if you want your petition to be heard, hear the petition of others. If you do not close your ear to others you open God’s ear to yourself. "When you fast, see the fasting of others. If you want God to know that you are hungry, know that another is hungry. If you hope for mercy, show mercy. If you look for kindness, show kindness. If you want to receive, give. If you ask for yourself what you deny to others, your asking is a mockery. "Let this be the pattern for all men when they practice mercy: show mercy to others in the same way, with the same generosity, with the same promptness, as you want others to show mercy to you. "Therefore, let prayer, mercy and fasting be one single plea to God on our behalf, one speech in our defense, a threefold united prayer in our favor. "Let us use fasting to make up for what we have lost by despising others. Let us offer our souls in sacrifice by means of fasting. There is nothing more pleasing that we can offer to God, as the psalmist said in prophecy: A sacrifice to God is a broken spirit; God does not despise a bruised and humbled heart. "Offer your soul to God, make him an oblation of your fasting, so that your soul may be a pure offering, a holy sacrifice, a living victim, remaining your own and at the same time made over to God. Whoever fails to give this to God will not be excused, for if you are to give him yourself you are never without the means of giving. "To make these acceptable, mercy must be added. Fasting bears no fruit unless it is watered by mercy. Fasting dries up when mercy dries up. Mercy is to fasting as rain is to earth. However much you may cultivate your heart, clear the soil of your nature, root out vices, sow virtues, if you do not release the springs of mercy, your fasting will bear no fruit. 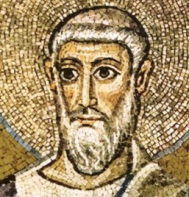 * Peter Chrysologus (c. 380-450) was bishop in Ravenna, and councilor of St. Leo the Great.